Ultimately, it is best to switch to the booster when your child is too tall or too heavy for the seat you have. After all, a forward-facing harness seat offers a lot more in terms of restraint and safety. However, there is a transition period to consider. It is possible for the child to be ready for a booster seat physically, and yet, no quite so in reality. The reason for that is that the transition requires a certain level of maturity. After all, mere weight and height limitations matter only so much. First of all, a booster gives the child more freedom compared to a harness seat. Since all it does is guide the seat belts, it does not really restrain little passengers. The belt can be misplaced by the child, they can adopt a position which could be hazardous in the event of a crash, and so on. 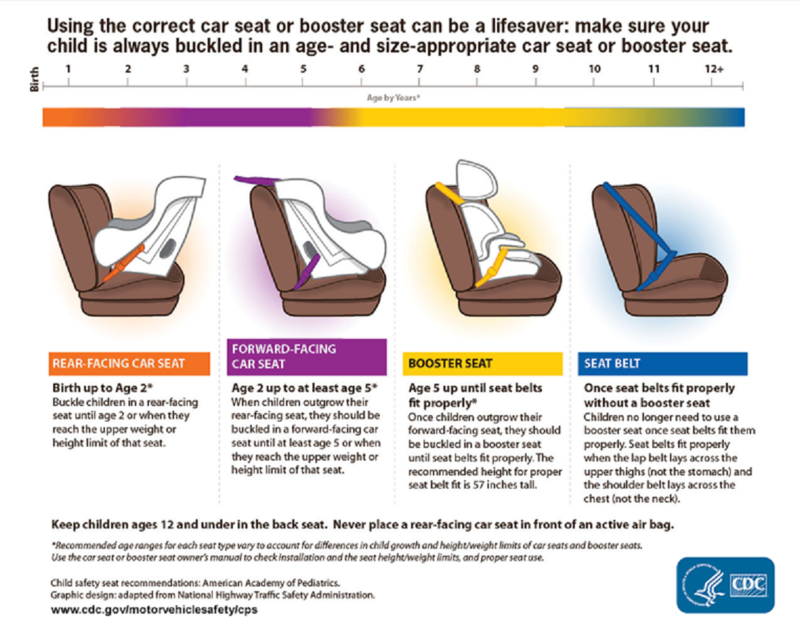 As for the age limitations… Booster is the last type of car seats. After that, the only safety measure left is the proper adult seat belts. What matters most is the height of the child. Age as such is not important. A booster seat can be used by children who are as young as 5 years of age. When to switch out of booster? Again, when the child’s height is appropriate. Once they can use the seat belts safely (and that means they can be positioned properly without a booster), it is time. One thing you should keep in mind is that whether the child still uses a booster or not, they should not be placed in the front seat.